You will need to be qualified and insured as a Reiki Master Teacher having had at least one year’s teaching experience including one Reiki level 1 class and one Reiki level 2 class. You will need six months experience of giving practical Reiki Drum treatments. You will be required to provide 6 Reiki Drum case studies (a course of four treatments for each case study). When you attend your assessment day, this will consist of written and oral presentation of your case studies, a demonstration of a Reiki drum healing, a mental/emotional re-programming and a drum journey treatment. You will learn how to conduct the Reiki Drum Attunement as well as some additional Reiki Drum techniques. You will receive your manual a few weeks before the assessment day and your Reiki Drum Master Teacher certificate on successful completion of the course. All courses are accompanied by an attractive certificate provided by Cathy Birkinhead. 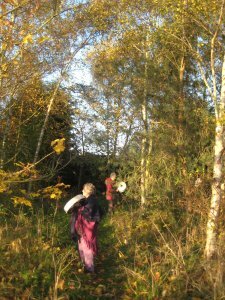 Master Teacher Courses are held at Sipala, Aspley Guise, Woburn, Bedfordshire – complete with a Mongolian Yurt that has a wood burning stove, Garden Room – ideal from treatments and empowerments, beautiful gardens and fire pit (great for sitting around for group drumming). 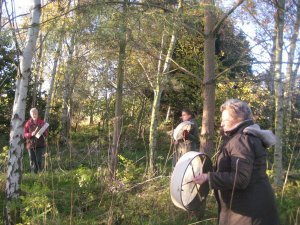 The fee for the Reiki Drum Technique Course is £300, with a £60 deposit paid in advance, and the balance paid to Cathy Birkinhead on the day of your course. 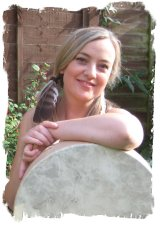 Once you’ve been on your Reiki Drum Technique Master Teacher course we want you to know that your teacher will be on hand to deal with any questions or queries that you might have.